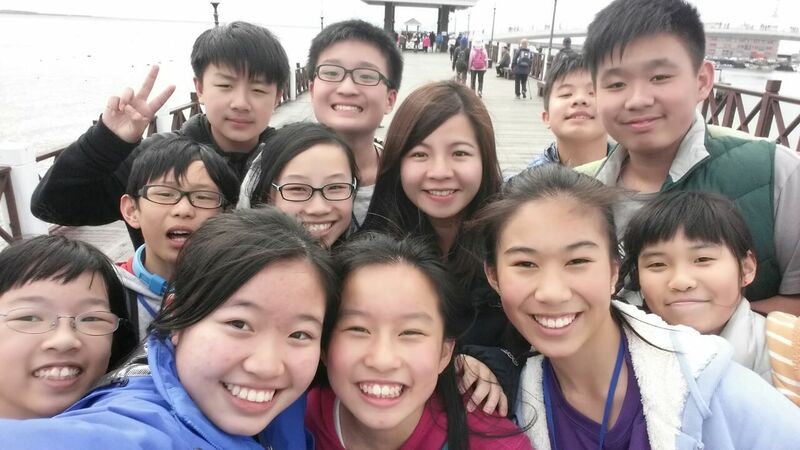 From 31 Jan to3 Feb was our Taiwan study tour! 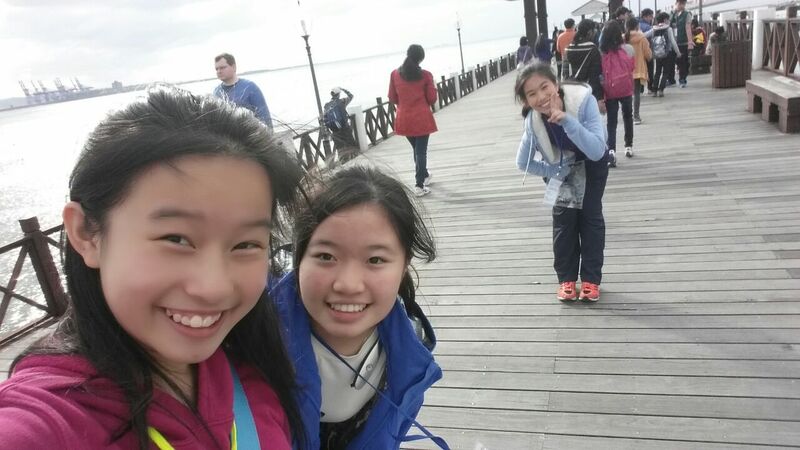 I really liked the trip, especially the DIY part, I enjoyed it very much!!! 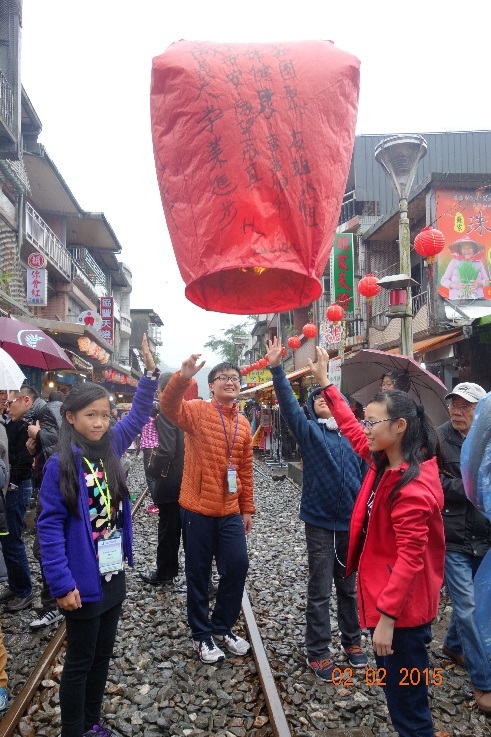 In this trip, I’ve learnt a lot about the culture of Taiwan, also I’ve learnt to communicate with my schoolmates from other classes, especially the non-Chinese students. I liked the local Pineapple Tart Store, Chocolate Wonderland and Suho Paper Memorial Museum most. I could use my imagination during the DIY projects. Of course, the Tamsui Old Street and the night market were unforgettable. In the night market, my friends and I didn’t buy many things. But we used a lot of coins to get the dolls in the machine. We have many dolls!!! 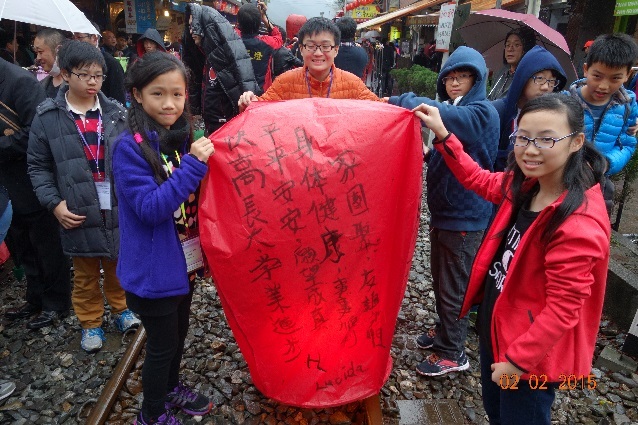 On the road to Shifen, Mr.Ng invited many of our classmates to sing, such as Jophy from 1J, Wayne from 1M, Yuki from 1C, etc. 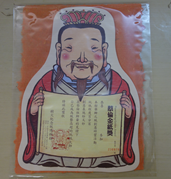 But the most important is he invited Mr.Wong, Ms.Sin and Ms.Chum. However, the two ladies refused to do so. At last Mr.Ng sang by himself!! !What an awful experience! 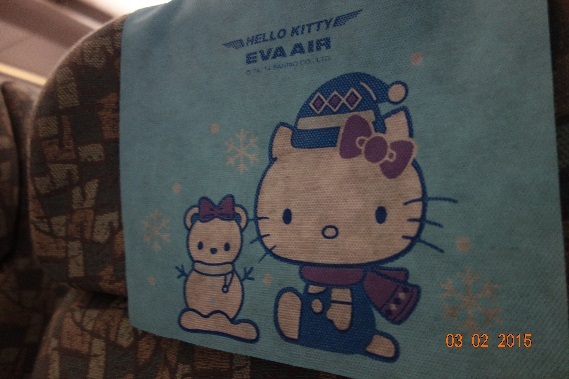 When we came back from Taiwan, we flew on the Hello Kitty EVA AIR, so cute! Anyway I enjoyed the trip very much!!! I hope I can join more study tours in the coming years!!! Through this Taipei Study Tour, I learnt about different things like how to make a sheet of paper, how to make pineapple tarts and the process of making chocolate. 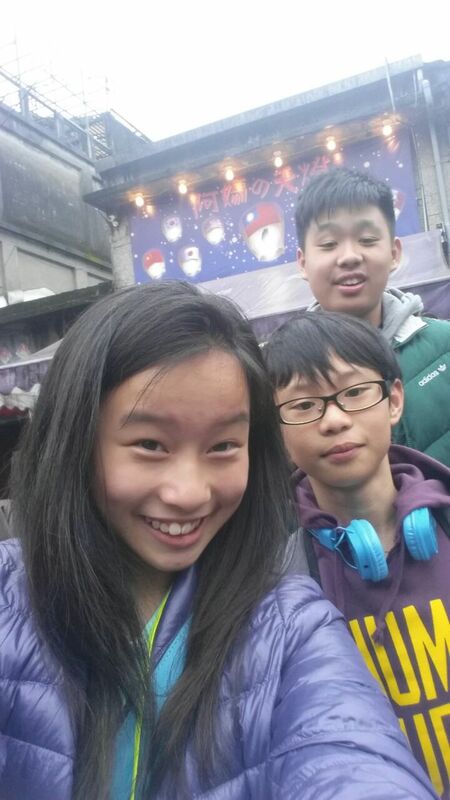 I enjoyed this trip a lot, not only because we learnt how to make the treats and paper, but also because we learnt about the culture of Taipei. Taipei is a really big city with a lot of interesting things and a lot of yummy food! We went to explore different places in Taipei, like the Tamsui Old Street, the Taipei Public Library and the night market. 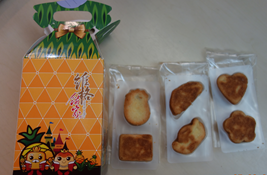 But my favorite places are the local Pineapple Tart Store, Shifen and Yeuliu Geopark! I love cooking and it was great fun making the tarts. Now that I know how to make it, I can make it with my family. We bought different souvenirs there, it was really hard to choose because there was a great variety of choices! Next, Shifen! The view was amazing and very beautiful. We also set-off our sky lanterns which was incredible! We wrote our goals hoping we will succeed and let them fly high! Mr. Ng asked us to pretend to be the characters in the movie"那些年 我們一起追的女孩" but we didn’t want to do it, so Mr. Ng gave up. Ayway, it was great fun! Last but not least, the Yeuliu Geopark. When we went there, the weather was very bad. It was raining and slippery everywhere! But why did I like it so much? Easy it was because of the rocks. It wasn’t just the rocks, it’s the shape of the rocks which are very unique and interesting. There are rocks called Camel Rock, Marine Bird Rock and even the Queen’s head! After this trip, I learnt that rocks are really cool, maybe someday there’ll be a ‘Human Rock’. The whole trip was amazing. 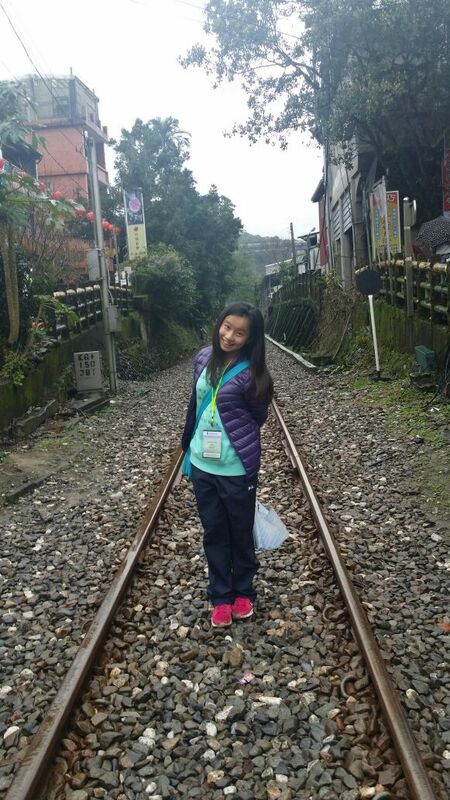 I also knew more about my schoolmates by staying with them in Taipei for four ays. I’m very glad that I joined this study tour. From now on, I will always follow the 3Rs, for example Recycling rubbish and Reusing paper to make Hong Kong a more ‘GREEN’ city! Overall, this trip was exciting and fun. I’m really looking forward to joining such a tour again!